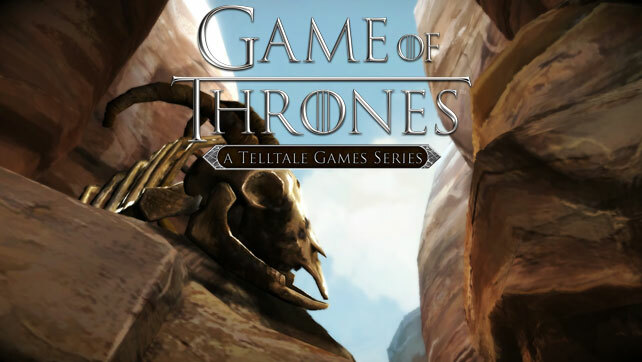 As the fifth series of the TV show returns to our screens, we’re now halfway through the accompanying Telltale Game of Thrones title with The Sword in the Darkness. Now that the characters are established, is the game delivering on the same intrigue and suspense that the source material provides, or is the pace struggling to translate into a satisfying experience? This episode picks up the story of the remaining Forrester members as they’re still dealing with the events of the last two episodes. The physical and emotional journey they’re on, and consequently you’re put through, continues in true Game of Thrones style as the feud with the Whitehills intensifies, and the search for anything that can save the House ramps up. The main protagonists are locked in now, and you’re playing the same role for each as you did in the first couple of parts… or maybe not if you’re like me. See, the length of time between episodes means that I can’t quite remember which approach I took with each one, and that means the path I wanted to take is probably drifting away a bit. Is it an issue? Only for me I suspect, but is one of the things I don’t like about 6 – 8 weeks between instalments. Now that the shine’s beginning to wear off the style of game (in that we’ve had a few years of these now), my biggest concern has been that the slower pace will make things a chore instead of a delight. Fortunately there are a few tricks up Game of Thrones sleeve that keeps the engagement going. 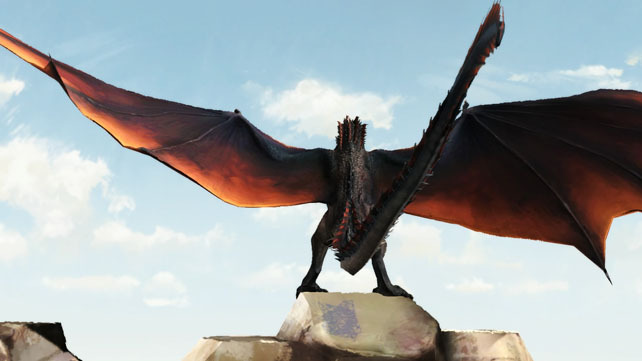 The first is that you’re present at some of the key scenes that stand out from the books, albeit seen from new angles; the second is that events move pretty quickly and you’re not stuck playing as one character for too long; and the third is that it’s introduced dragons a lot faster than the show. There remains a good balance between the action and exploration sections too, though the hinted at inventory system remains just that – a hint at storing a list of collected items on the left of the screen that you have no physical interaction with. This is where I think the Game of Thrones titles need to improve. I have no issue with story driven elements, they work better than nearly every other title I’ve played in my 30+ years of gaming, but sometimes I just want things to be a bit more interactive. I ragged on Assassin’s Creed III with friends because of the 5 hour handhold tutorial where you pretty much only get to push forward on the left stick to trigger the next cutscene. This is exactly the same, yet I’m happy to have been in the world over 5 hours already. Maybe it’s purely expectations of the experience – I never thought I’d be leaping from trees onto unsuspecting soldiers so I don’t miss it. However, I do expect twists and turns in the plot with things that surprise me, and that’s scarce this time around. Technically, the Telltale engine lets itself down again with stuttering and jumping at certain points. It’s still pretty to look at and well realised, and more of the TV show cast have given over their likeness and voices, but it misses the mark with one or two of the branching choices. I hit a couple of sections where I made one decision (about keeping something secret) only to have it referenced back to me by a character not in the know a couple of scenes later. This broke the immersion quite drastically, spoiling the illusion that I was crafting my own story. What I can’t work out is if the problem was caused by a choice being misinterpreted by the software, or if it was just outright missed in QA. Hopefully this won’t happen again, or at least it won’t be noticeable for me. 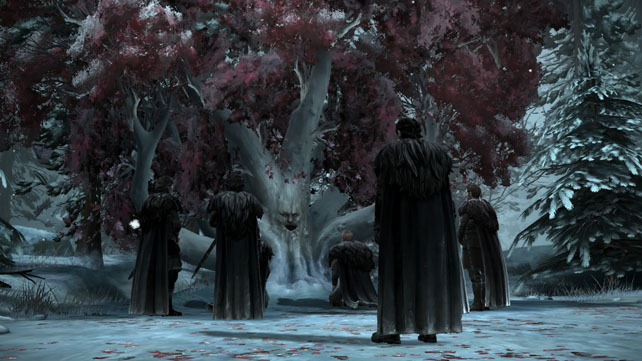 I can’t score this episode too badly though, the look, feel and scope is what any Game of Thrones fan wants, and non-fans have something to get into as well (minus the references to huge events that aren’t actually covered during the play time). Just pick up the pace a bit Telltale, I’d like to get to end of this series at the same time as the end of the current TV run. 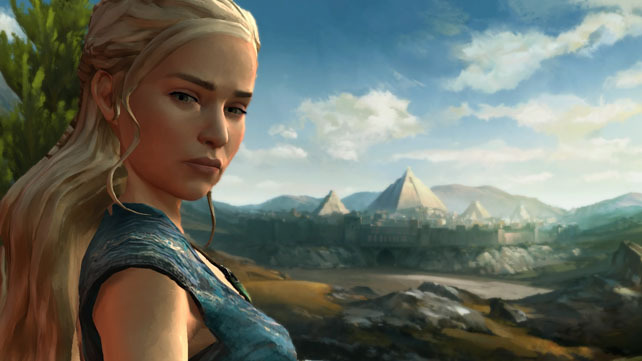 A review copy of Game of Thrones: The Sword in the Darkness for PS4 was provided by the Telltale Games PR team, and the available episodes can be picked up now on most formats.